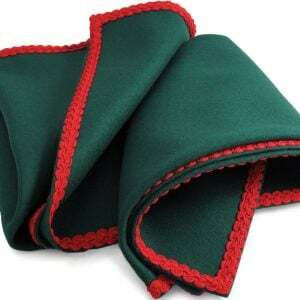 The Connoisseur Collection is our range of green baize gaming cloths. 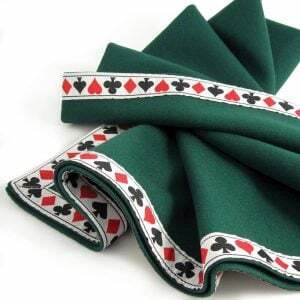 Baize is traditionally used as a cardplay surface because of the optimum friction and give it provides, with green being the traditional colour. We use top-quality British baize, 95% wool, and every cloth is skilfully hand made to order in our British workshop. We offer a wide range of trimmings and decoration so go ahead and choose the cloth that’s perfect for you!